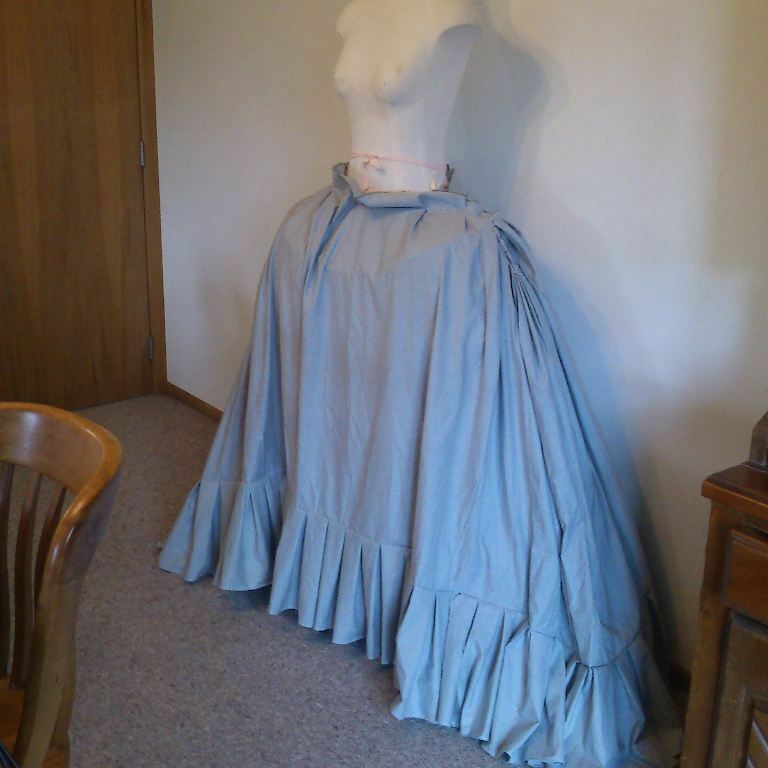 Spent the day making pleats and sewing pleats. Also got my stays cut and mostly assembled. I still need twill tape for the boning. 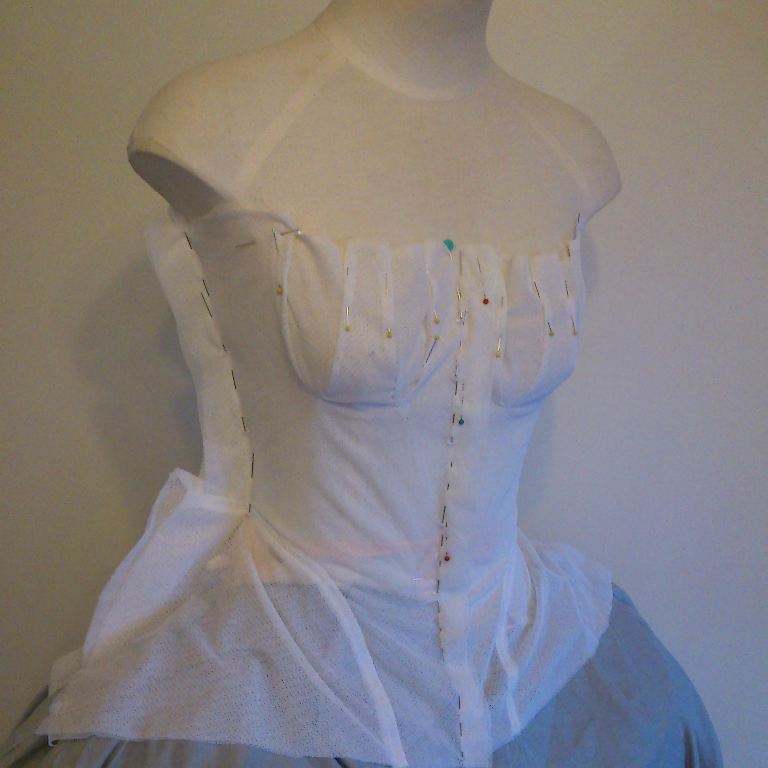 This is over my smaller hoops for the Robe de Style and Reinette. Still needs some careful shaping.